Whether you're a tourist or traveling on business, Nefeli Studios is a great choice for accommodation when visiting Paralia Tolofonos. From here, guests can make the most of all that the lively city has to offer. With its convenient location, the property offers easy access to the city's must-see destinations. Take advantage of a wealth of unrivaled services and amenities at this Paralia Tolofonos property. Facilities like free Wi-Fi in all rooms, postal service, taxi service, kitchen, express check-in/check-out are readily available for the convenience of each guest. The property features 8 beautifully appointed guestrooms, many of which include flat screen television, cleaning products, clothes rack, linens, mirror. Whether you're a fitness enthusiast or are just looking for a way to unwind after a hard day, you will be entertained by recreational facilities such as outdoor pool, children's playground, garden. 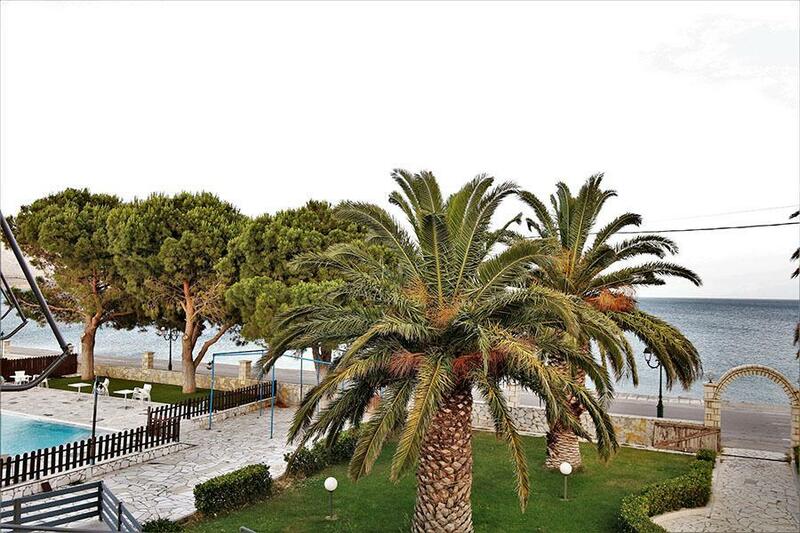 Nefeli Studios is an ideal place of stay for travelers seeking charm, comfort, and convenience in Paralia Tolofonos.